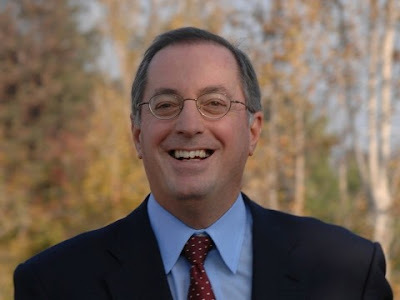 We just read the news that former CEO Paul Otellini passed away in his sleep Monday, Oct. 2, 2017, at the age of 66. For those of us who served with him at Intel Corp. before his retirement, we received the news with great sadness since Paul Otelini 's tenure at Intel Corp. was mostly marked with growth and prosperity for most company employees. According to the official Intel Corp. press release, Otellini was born in San Francisco on Oct. 12, 1950, and remained a fan of the city all his life. He received a bachelor's degree in economics from the University of San Francisco in 1972 and an MBA from the University of California, Berkeley in 1974. He joined Intel in 1974 and served in a number of positions, including general manager of Intel's Peripheral Components Operation and the Folsom Microcomputer Division, and in 1989 as then-CEO Andy Grove's chief of staff. From 1990 to 2002, he held various positions at Intel, including executive vice president and general manager of the Intel Architecture Group, responsible for the company's microprocessor and chipset businesses and strategies for desktop, mobile and enterprise computing, as well as executive vice president and general manager of the Sales (CRM) and Marketing Group. Otellini also served as chief operating officer from 2002 to 2005. Paul and his wife, Sandy, were married for 30 years. He is survived by his wife; his son, Patrick; and his daughter, Alexis. Since he retired in 2013, Otellini dedicated time to mentoring young people and being involved with several philanthropic and charitable organizations, including the San Francisco Symphony and San Francisco General Hospital Foundation. Our warm condolences to his family and his close friends. The Federal Government is Investigating Intel Corp.
Long Held Conspiracy Theory - Confirmed ! Copyright 2016-2018 PDX-TIE.ORG. Powered by Blogger.